Review the study's outcomes to help you make better decisions. 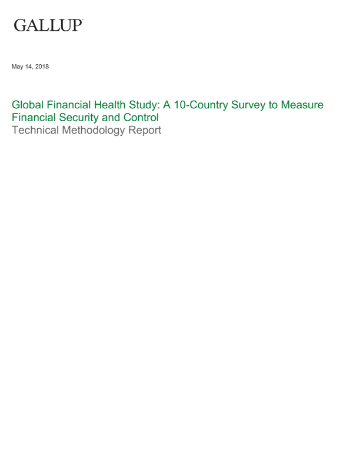 The Gallup Global Financial Health Study uncovers a wealth of unprecedented insights to help leaders, organizations and countries around the world make more informed, evidence-based decisions. Access the study variables and the Excel files of the data set of more than 15,000 completed surveys in 10 different countries. Discover Gallup's survey methodology used in more than 140 countries worldwide each year. This document includes the survey questions, the list of variables in the data set and the methodology of the data collection. 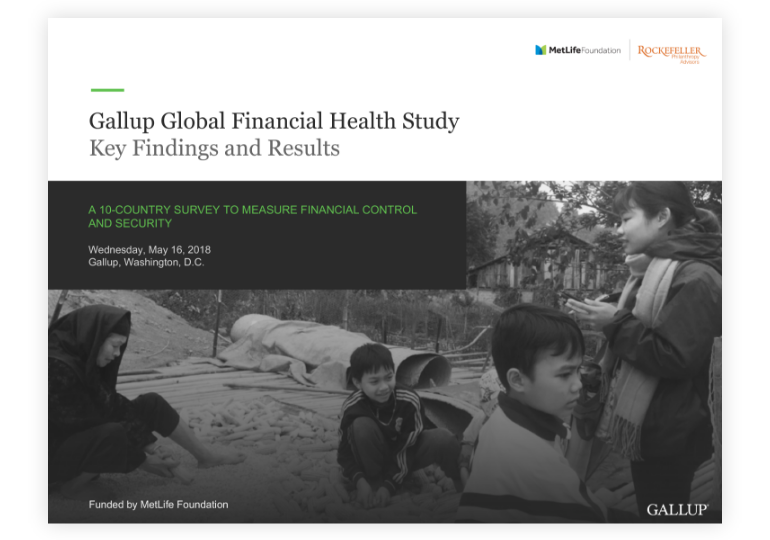 Review an overview of the development and results of the Gallup Global Financial Health Study. 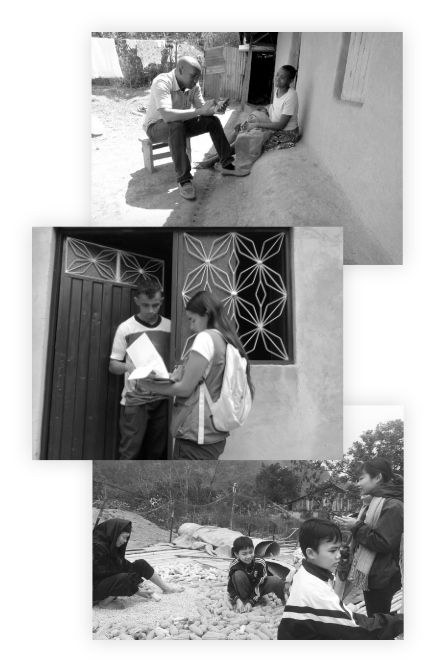 Substantial academic literature demonstrates that access to and use of financial services has a significant positive impact on people's lives. 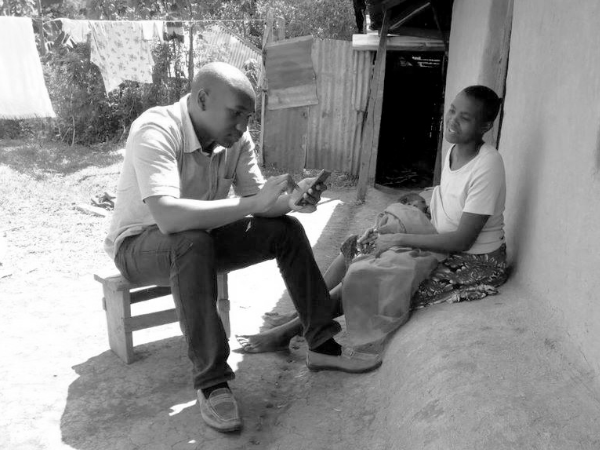 Researchers have developed valuable measures of financial inclusion and financial literacy. This project focuses on financial control -- the extent to which people perceive they are in control of and can influence their financial situation -- an important and complementary dimension within the umbrella of financial health. Through this study, a new metric has been developed to measure perceived financial control through the eyes of individuals around the world. 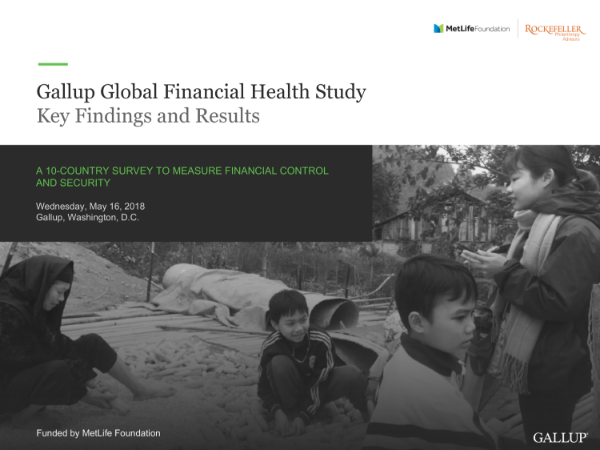 This new measure, along with the wide range of other questions included in the survey, will allow for a better understanding of whether people are making sufficient use of financial services, and using their knowledge of and access to those services, to take control of their finances and improve their overall financial health. Discover perceptions of financial control worldwide. Shape your decision-making strategy with access to global data. 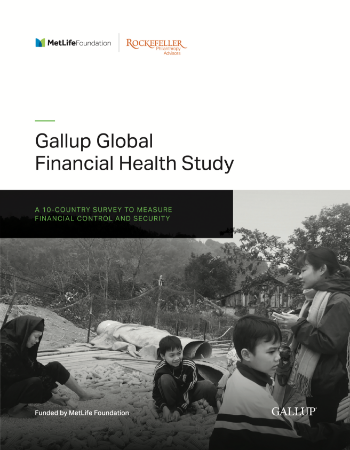 To receive complimentary online access to the Gallup Global Financial Health Study Summary and data set, as well as an email to download it, please complete the form. Someone from Gallup may also contact you via email about your interest in this topic.